Visit Free People careers page at freepeople.com/careers to know more about the brand, team and their interview tips. 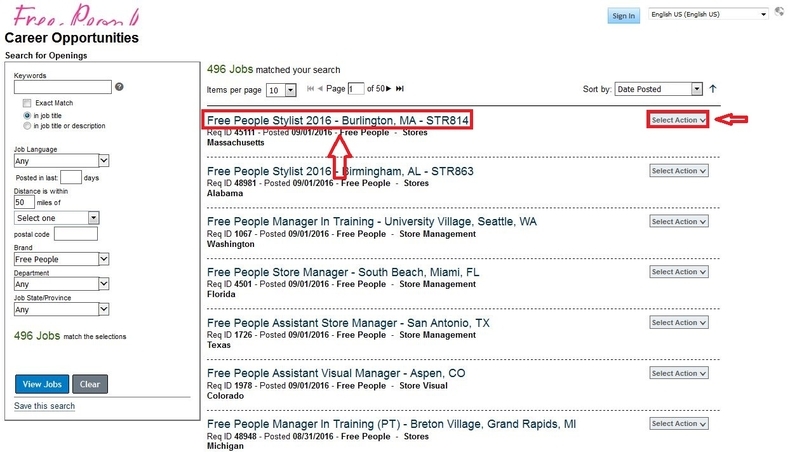 You can click the link "open jobs" to check out job opportunities at Free People. 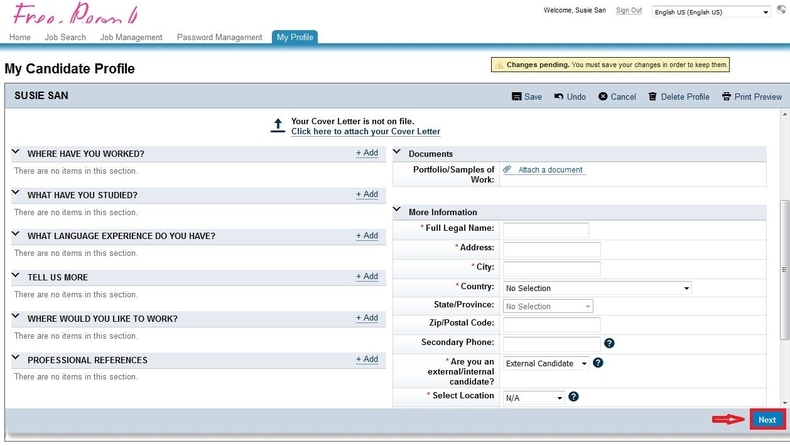 Enter keywords and select criteria like job language, department or location etc. 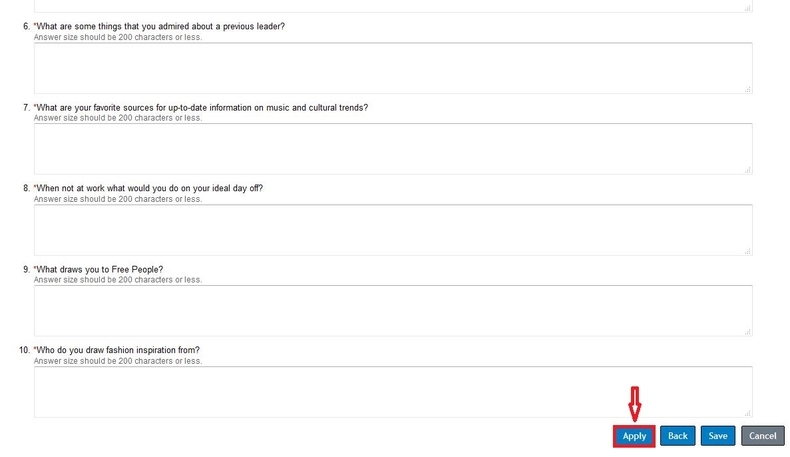 to quickly search job openings for you. Or you can click "View Jobs" to check all the job openings. Here we choose to view all jobs. Browse the job openings list and select a position you are mostly interested in to start your job application. 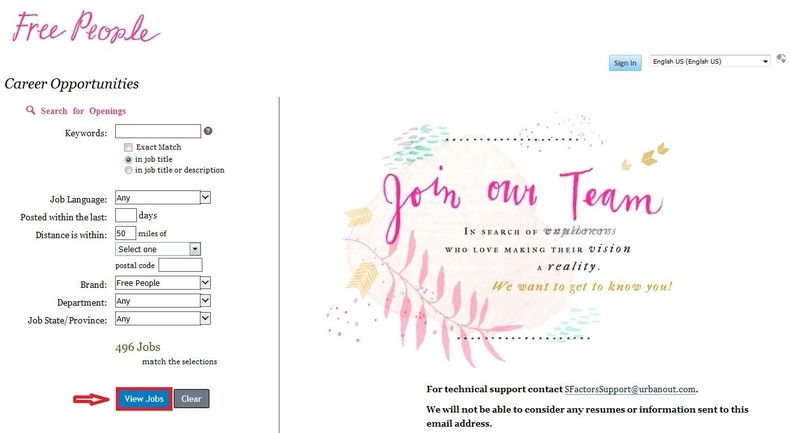 You can click the job title to know more about the position especially the responsibilities and then click the button Apply to start. Or you can click the Apply button of the drop down menu of Select Action to start your job application. Here we will show you an example by applying for the first position on the list. Enter your email address and password to sign in . If you are not a registered user yet, you need to click the link to create an account. Complete your candidate profile like general information, work experience, education background, language experience, location preference and professional references and click the button "Next" to continue. Follow instructions to provide more information about you, upload your resume or cover letter and answer several questions. After you finish all the required fields, just click the button "Apply" to submit your application. After clicking the button Apply, you will be entered into a page where you can see a notification - Your application has been sent. Thank you! This indicates that your online application has been finished. You can click the button below the notification to return to job search page or jobs applied. 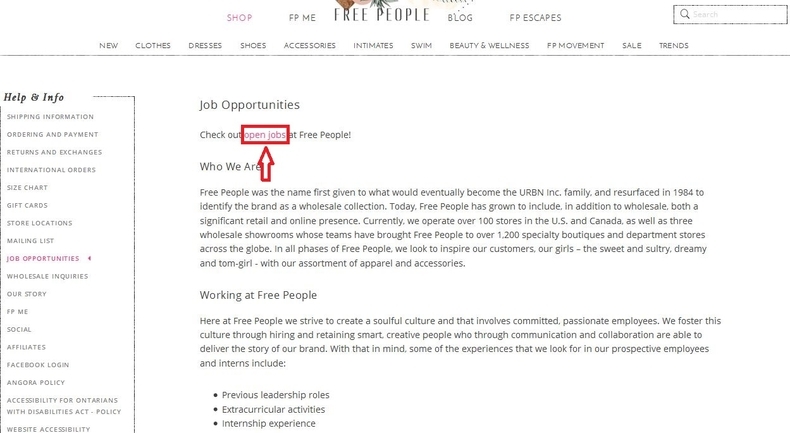 Click freepeople.com/careers to apply for Free People jobs online.